1 - I added this song to my Songs for November playlist from last week but in case you didn't see it I wanted to share it again. It's a really pretty song and a really lovely video - it's her real wedding video! I even tear up when her dad is walking her down the aisle. 2 - Today I'm fangirling out a bit and totally enjoying the opportunity to guest dj at my favorite local radio station: 99.9 WWCT FM. Their tagline is music for people who love music and they play a lot of the songs I share here on the blog - minus the country. Oh! Unless it's Johnny Cash. They play Johnny Cash. I suppose I'm most excited about this because I'm not doing it because I'm JF's mom or a blogger. As a fan I submitted my name and playlist, and as a fan I was picked. They probably pick everyone who submits but I don't care. I'm really happy to be doing it. And I'm going to give a shout out right here and now. My good friend Jen R. is babysitting my kids so I can do this, because she's great. You can listen live if you click right here. 3 - Let's talk holiday cookies. A holiday season isn't a holiday season if I don't bake chocolate crinkles, snickerdoodles, peanut butter blossoms, and decorated cut out, sugar cookies. What about you? And I'm talking Thanksgiving - Epiphany, people! Let's get 'em ALL in! Nell and her family who hosted me in their dreamboat home. Being able to pray in gorgeous St. Michael's Church. The amazing pretzel bread Nell served me for lunch. 5 - My friends Haley and Christy have a brand new podcast that they launched earlier this week. I am SO excited for the Fountains of Carrots podcast. If you haven't listened yet, please do! So many great things to come. 6 - More exciting news for another one of my friends: Kelly is one of the keynote speakers at Edel '15! I am so proud of my friend and so happy for her and everyone else who gets to attend. She will be great! 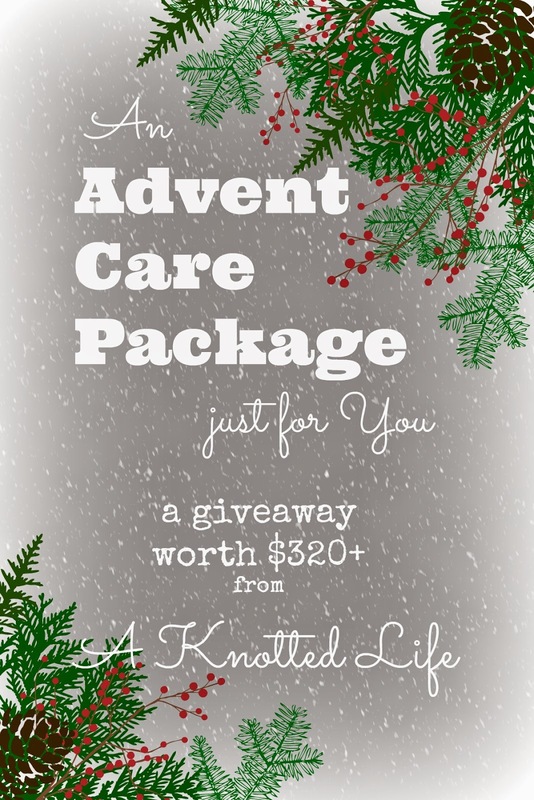 7 - I'm really excited about the Advent Care Package giveaway that's happening right now on my blog. I'm not doing it to get more followers or because I was given something and now need to promote a vendor. I'm doing it in the hopes that whoever the lucky winner is, she will really benefit and have an easier Advent because of it. If you haven't entered yet, you can check it out here. And now no more Advent from me until after Thanksgiving! I need to focus on gratitude and generosity a bit more. And thanks to the aforementioned Kelly for hosting! Bonnie, I have been meaning to tell you how much I enjoyed your talk. I already knew your story was amazing, but hearing it in person was something I will never forget. Also, don't get me started on your cookies. At the MN state fair, there is this cookie booth called "Sweet Martha's", it's kind of a huge deal and now Martha sells her stuff in local stores. Anyways, your cookies are BETTER, which I did not think was possible...so...I think you need to be selling your cookies at the IL state fair ASAP! Every year I am determined to make Christmas cookies and every year I never do. This year it's happening!! How fun that you got to guest DJ! Did you have a blast? That picture of y'all in Nell's house looks like a still from some fancy pants talk show! Knot Bad videos, DJ experience...starting up your own morning show is the next logical step. Just don't make references to how hot some things can be...you know what I'm talking about! 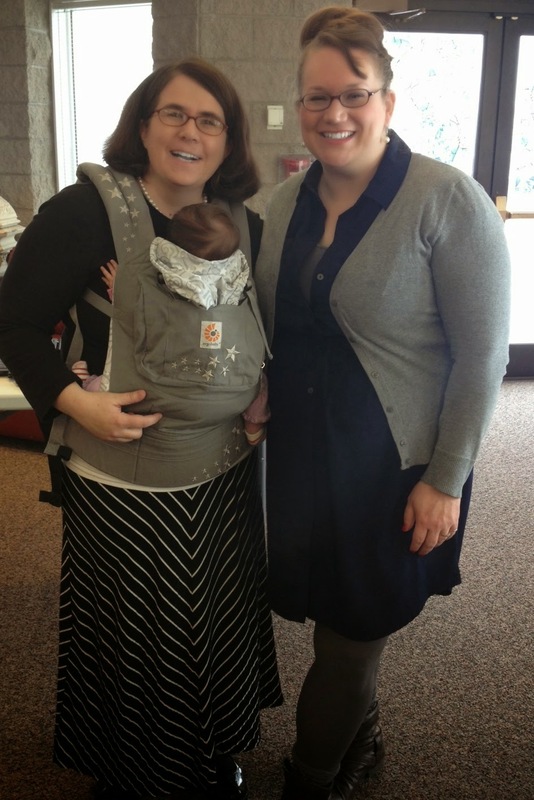 So fun to meet you, Bonnie! I'm glad the weather wasn't too terrible when you were here.